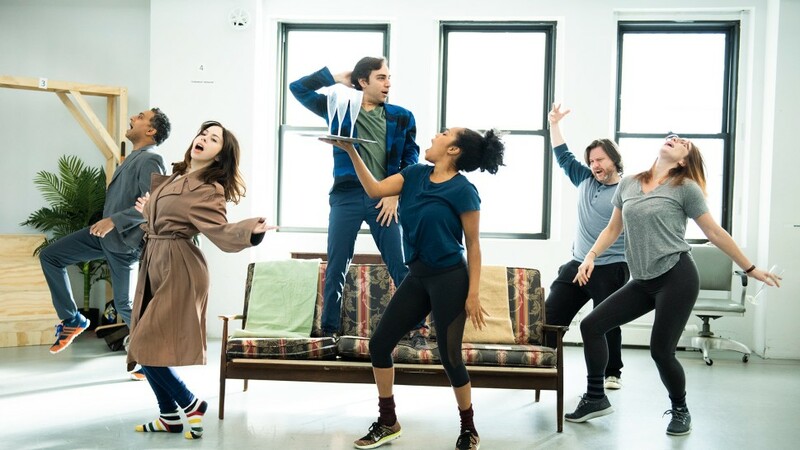 “Performances begin January 12 at Roundabout Theatre for Fiasco Theater’s staging of the Stephen Sondheim-George Furth musical Merrily We Roll Along. Helmed by Fiasco’s co-artistic director Noah Brody, the production incorporates additional material lifted from George S. Kaufman and Moss Hart’s 1934 play that inspired the musical. This entry was tagged Lorin Latarro on January 12, 2019 by The Cooper Company.